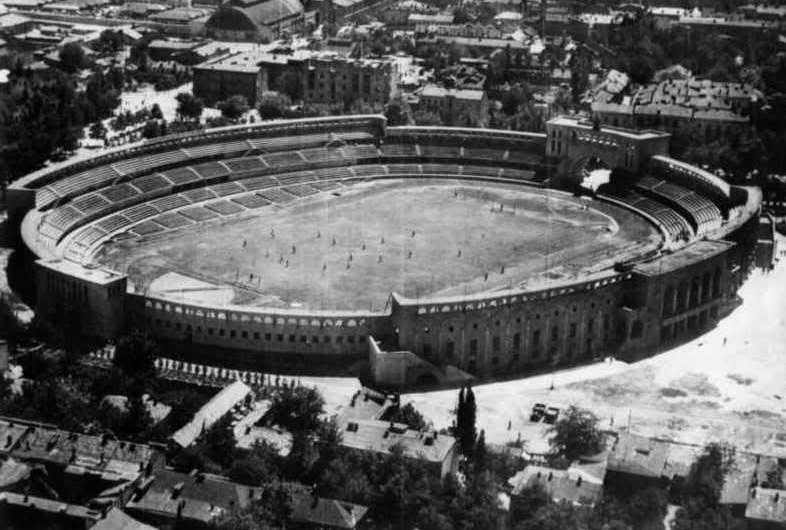 Construction of the stadium started in autumn 1929 although the project was soon suspended. The Construction was renewed in 1933 (chief architect-Archil Kurdiani). Finally it finished on October 12, 1935 and envisaged 23 000 spectators. In 1960-1962 the stadium was reconstructed (architect-Archil Kurdiani) and the number of spectators increased to 36 000. 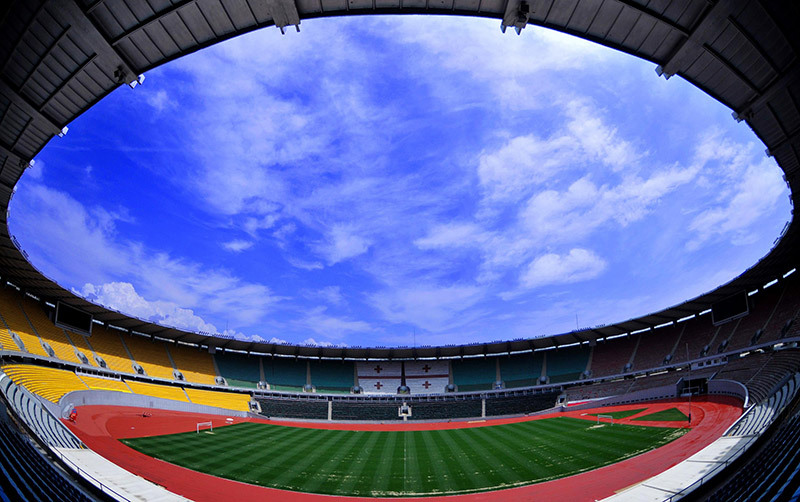 After reconstruction the stadium was officially opened on July 27, 1962. Dinamo Tbilisi hosted FC Dinamo Leningrad in Soviet championship XIII round and defeated it with minimal score 1:0. (Pereturin scored auto-goal). In 1969-1976 Dinamo Arena was reconstructed again (architects-Archil Kurdiani and Gia Kurdiani, constructor-Shalva Gazashvili). Interface of the stadium has changed and number of subscribers increased to 78 000. 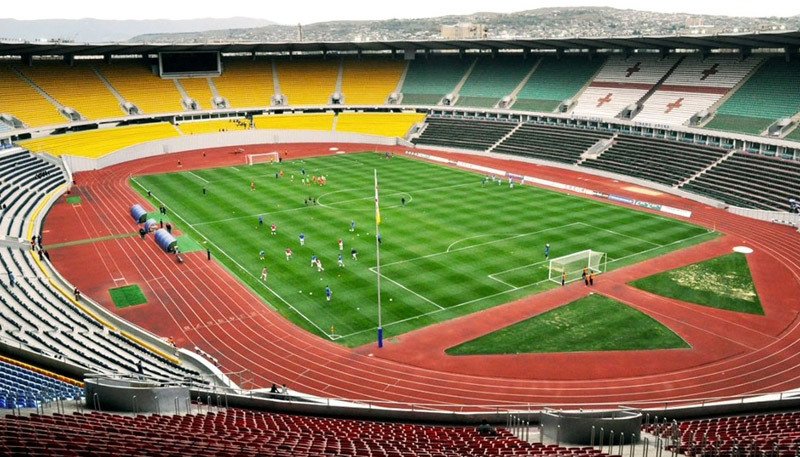 During reconstruction period FC Dinamo Tbilisi played home matches at Lokomotiv stadium. On September 19, 1976 the stadium was officially opened with 1/16 final match of Cup Winners’ Cup. Dinamo Tbilisi hosted Welsh Cardiff and defeated to with the score 3:0. (Gutsaev, Kipiani and Kanteladze scored in this match). The final reconstruction of the stadium was held in 2006 (architects-Gia Kurdiani and Archil Kurdiani Junior) and number of spectators was changed to 55 000. 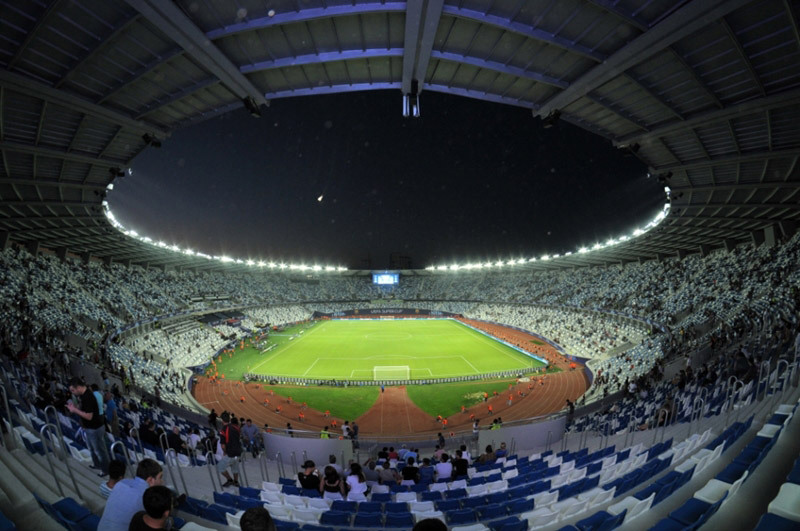 The stadium was opened with European championship qualifying match. On September 6, 2006 Georgian national team hosted French national team and was defeated with the score 3:0. 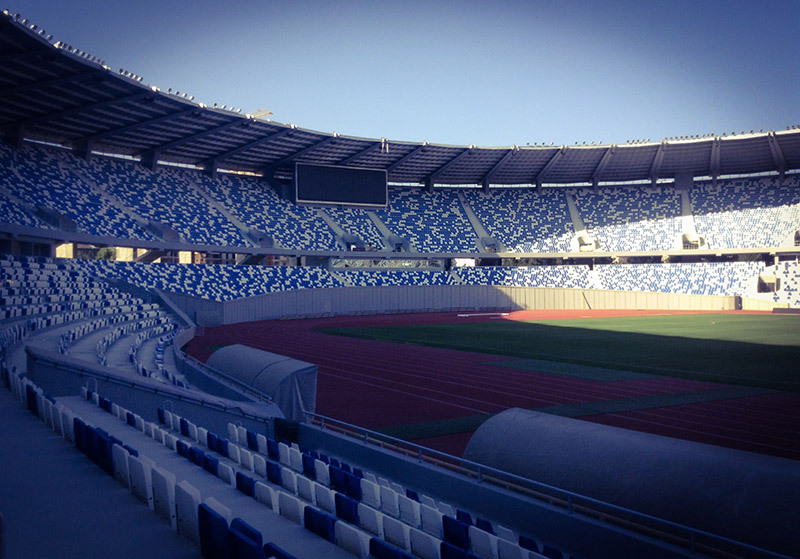 In 2012 the turf of Dinamo Arena was changed. Energy and irrigation systems were also fully rehabilitated. The new lighting was made that satisfies demands of high standards. 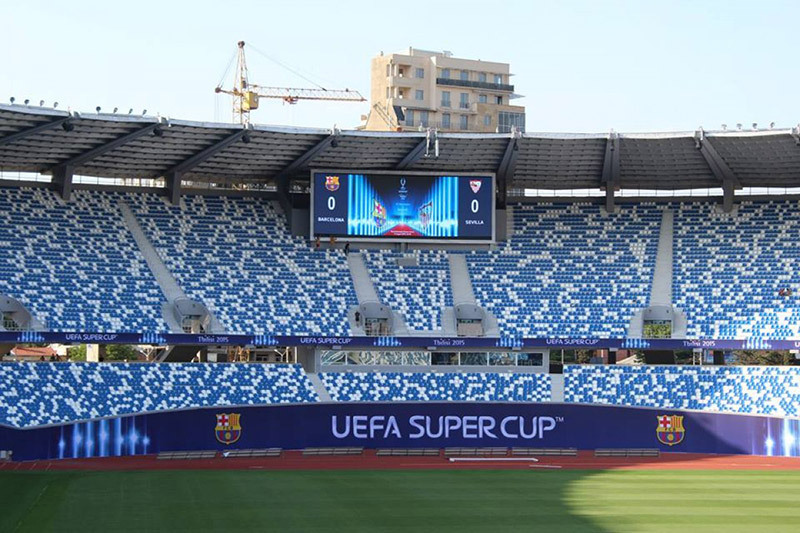 VIP box has fully changed and fixed according to UEFA standards. The maximal number of spectators at Dinamo Arena was recorded on October 3, 1979. 110 000 spectators attended UEFA Champions League 1/16 final match in which Dinamo Tbilisi hosted FC Liverpool. The match finished with the victory of our team-3:0. Gutsaev, Shengelia and Chivadze scored.